PIPESTEM, W.Va. – National Moth Week is a global celebration of moths and biodiversity held on the last week of July 20-28. 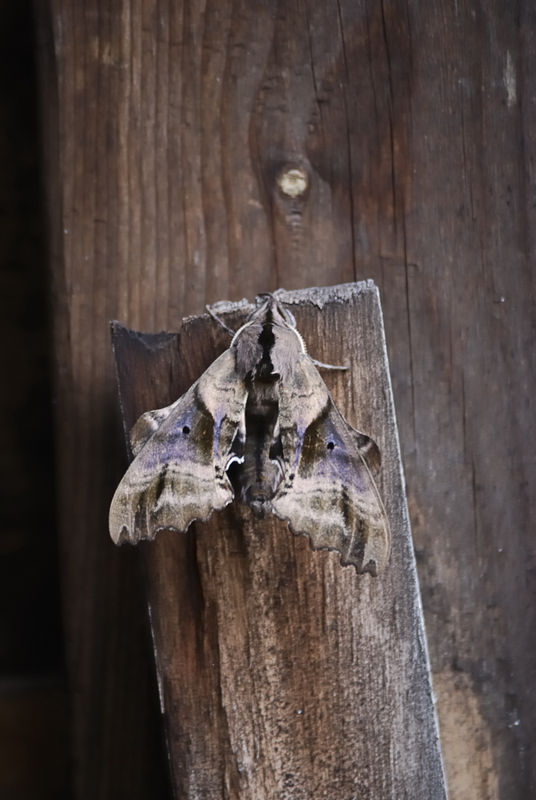 Pipestem State Park is participating in the second annual National Moth Week with organized moth hunts, crafts and the showing of the “Godzilla vs. Mothra” movie. The first national event, organized by a group of New Jersey scientists, recognized citizens from 49 states and 29 countries contributing data on distribution and life histories for this diverse group of insects. Moths have three main body regions – head, thorax, and abdomen, three pairs of jointed legs and one pair of antennae. Most have two pairs of wings. And most are nocturnal. “Like fireflies, looking for moths in lights after dark can be some of the best memories of a summer camping trip or sitting on the porch of a cabin at dusk,” said Jim Phillips, park naturalist. Phillips offers a variety of activities at Pipestem during National Moth Week to introduce park visitors to these colorful and often elusive members of the largest order of insects: Lepidoptera. Butterflies are also in this order. July 23 – Moth Craft at 1 p.m. Create a paper plate luna moth. This activity is held at the nature center. Crafters will learn about this green-colored insect as the craft is completed. There is no charge to participate and the activity takes about 45 minutes. July 24 – Hayride and Campfire begins at 5 p.m. at the fire pit across from the campground bathhouses. There is $1 per person charge to ride the wagon. Early evening is a good time to begin looking for moths. The Moth Hunt begins at 9 p.m. July 24 at the Nature Center. This activity plans to attract some moths to a sheet using a black light in order to get a close-up look at these flying nighttime insects for National Moth Week. The activity is open to any age and there is no cost. July 25 – Gypsy Moth Display is a special program on July 25 at 12:30 p.m. Tim Brown with the West Virginia Department of Agriculture will be at the Pipestem Nature Center with displays of this invasive moth species. Gypsy moths attack trees by feeding on their leaves. Severe defoliation and mortality are most likely in stands having a high percentage of oak, the favorite food of gypsy moth caterpillar. Brown will be at the nature center from 12:30 until 4:30 p.m. to answer questions about moths, how West Virginia conducts surveys, explain how the insect traps work, and other questions visitors may have about Gypsy moths or others. July 26 – Moth Sidewalk Art. Participants will use color chalk to create moth art from 12:30 to 4 p.m. at the Nature Center. All ages welcome to participate without fee. “Godzilla vs. Mothra” will be shown at 9:15 p.m. July 26 at the campground. The outdoor venue makes this evening activity great family fun. Snacks and drinks are available to purchase. There is no fee to attend. To learn more about National Moth Week, visit www.nationalmothweek.org. For Pipestem State Park activities, events and facility information, go to www.pipestemresort.com or call 304-466-1800.